School’s out and warmer temperatures are here to stay, which can only mean one thing—it’s summer! While summer can be a great time to enjoy the outdoors and take fun vacations, it’s also a more likely time for adults and kids to easily become dehydrated. Water is so vital to your health and as it gets hotter, it’s easier to lose fluids. A study was published in the American Journal of Public Health that more than half of all children and adults in the U.S. are not getting enough water, which can result in major health repercussions. It’s best to not let yourself get to the point of dehydration; even so, heat alone can drive dehydration, so it’s important to know the signs and symptoms. You may have heard the old saying “If you’re thirsty, it’s too late” —however, this isn’t entirely true. When you feel thirsty, the water deficit is usually minor, which means you still have time to remedy the situation before severe dehydration becomes an issue. However, if you don’t listen to your body and neglect to properly hydrate yourself, your thirst is likely to heavily increase. Once you notice this, start drinking water immediately in order to rehydrate, though it’s best to avoid such a drastic situation to begin with. In the summer, carrying a refillable water bottle full of ice water with you all day is a great idea. Even if the ice melts and the water is warm, it’s still the best hydration there is! Headaches can be a result of lack of sleep, hunger, loud noises, and yes — even not drinking enough water! Dehydration means your brain tissue is losing water, causing the brain to shrink and pull away from the head…and there’s your headache. Headaches caused from lack of water usually occur with other symptoms such as dry mouth, lethargy or increased thirst. So if you have a headache, your body might be trying to tell you that dehydration could be the cause of the pain. It’s natural to have tired muscles after a workout or a hard day of exerting energy, but if you’re getting a lot of muscle cramps or unusual tightness, that could be a sign you need to drink more water! Muscle cramps are a serous sign of dehydration. One of the big indicators is a charley horse: a very severe and painful muscle contraction (cramps) that most often occurs in the leg. Muscle cramps are caused by an electrolyte imbalance between potassium and sodium in the body which is due to lack of water. It’s crucial to rehydrate and restore those electrolyte imbalances (mainly through drinking more water) whenever you workout, so you can better avoid charley horses and cramps. 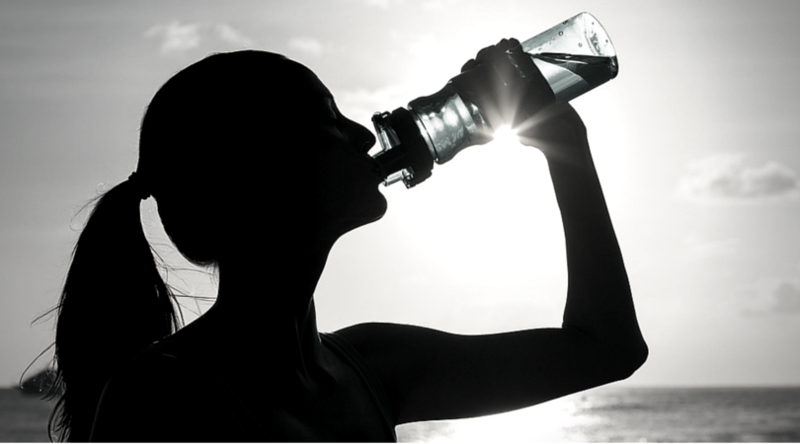 One of the easiest indicators of dehydration (and one nobody wants to discuss!) is issues in the bathroom. If you notice a shift in regularity, it could be from a lack of hydration, since water is needed both to absorb essential nutrients and to help excrete waste. This process can become problematic if you haven’t been getting adequate fluids. Also, if you experience decreased urine output or your urine is dark yellow, this could also mean you’re dehydrated. Urine should be light yellow or straw colored; darker urine is caused by the pigment urochrome which makes the urine more concentrated because there is not enough water to dilute the urine. If you’re feeling really lethargic or unnaturally tired and sluggish, this is yet another sign of dehydration. Water is needed for all functions in our body, and a lack of water can cause mental and physical fatigue, as well as reduced overall functioning. According to the Mayo Clinic, dehydration causes blood volume and blood pressure to drop which causes muscle and nerve function to slow—all of which creates fatigue. Even mild dehydration can weaken your cognitive functions and your energy levels, which makes it all the more important to stay hydrated. Water is crucial for healthy skin. Our skin is actually an organ, and a huge indicator our hydration levels. To get an idea about your hydration levels, pinch the skin on the back of your hands or knuckles to see if it quickly goes back to normal. If it stays raised longer, or takes more time to return to normal, you’re probably dehydrated! Additionally, saliva is also necessary to moisten and clean our mouths, as well for food digestion. When you’re dehydrated, there’s less saliva being produced, which can dry mouth and chapped lips. Water’s a lot easier to drink if it tastes great — and is free of odors, bitter tasting additives and discoloration. We love the Aerus Whole House Water Filtration System. 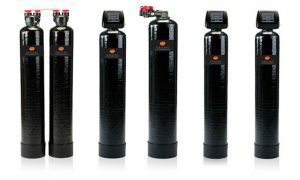 Our system allows you to reduce particles, contaminants, or imbalances in your water. An Aerus Water Filtration System treats your problem water directly at the source, so you enjoy the benefits of cleaner, fresher water from every faucet in your home. Why are asthma rates still increasing? Allergies or Asthma? Try These 7 Smart Tips for Traveling This Summer! Could body aches and fatigue also be a sign I’m not drinking enough water? It could be…or it could be the flu. Or a lot of things! Drinking more water certainly can’t hurt — but if you don’t feel better, check with your primary care physician.